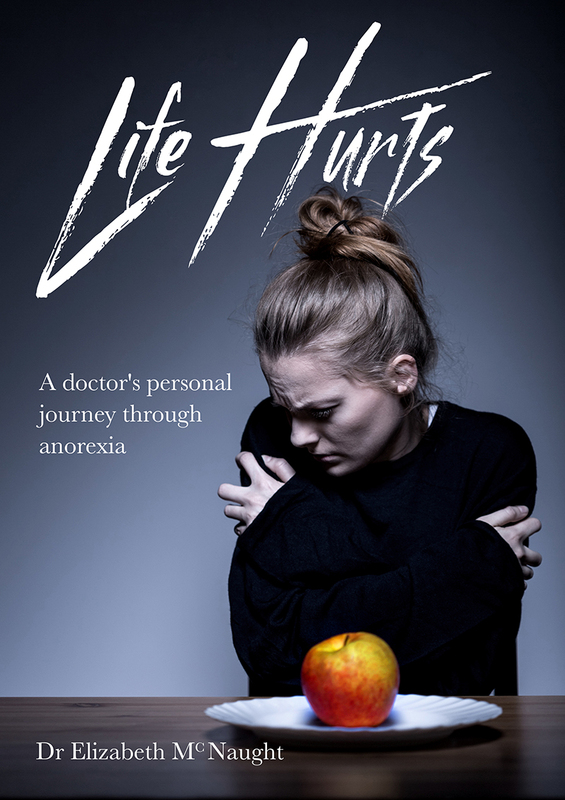 Life Hurts tells Lizzie's inspiring journey of her battle with anorexia, reflecting on it from her perspective as a doctor. For anyone struggling with Anorexia, this honest, first-hand account of dealing with the disorder understands exactly what you are going through. Told as a series of letters for her younger self, Life Hurts is Dr Elizabeth McNaught's personal experience of growing up anorexic. Either to help you though, or help you understand better, anorexia, Life Hurts is compassionate, understanding, and truthful in its account. "She's not going anywhere. Her heart is struggling. She's not stable enough to move"
Lizzie couldn't believe it. She had just gone to the hospital for a quick check-up and now they told her she could die. The doctors had diagnosed Anorexia and that she must regain weight. Her life closed in around her, but all she wanted was to avoid food. Anyone who lives with an eating disorder fights their own thoughts, their own anxieties, their own self, every second of every minute of every day. For Lizzie this was her reality from the age of 14. However through professional help, the support of her loving family and her faith, she somehow found the hope and strength to overcome. Life Hurts tells Lizzie's story, reflecting on it from her perspective as a doctor. Her vision is to inspire and encourage others to see that, although eating disorders can be devastating, there is hope for all of us. Life Hurts by Dr Elizabeth McNaught was published by Malcolm Down Publishing in March 2017 and is our 5446th best seller. The ISBN for Life Hurts is 9781910786659. Be the first to review Life Hurts! Got a question? No problem! Just click here to ask us about Life Hurts.